A wooden cross in a cemetery bears the inscription 'S. Englishe Flieger. Namen unbekannt'. Trees are visible in the foreground. 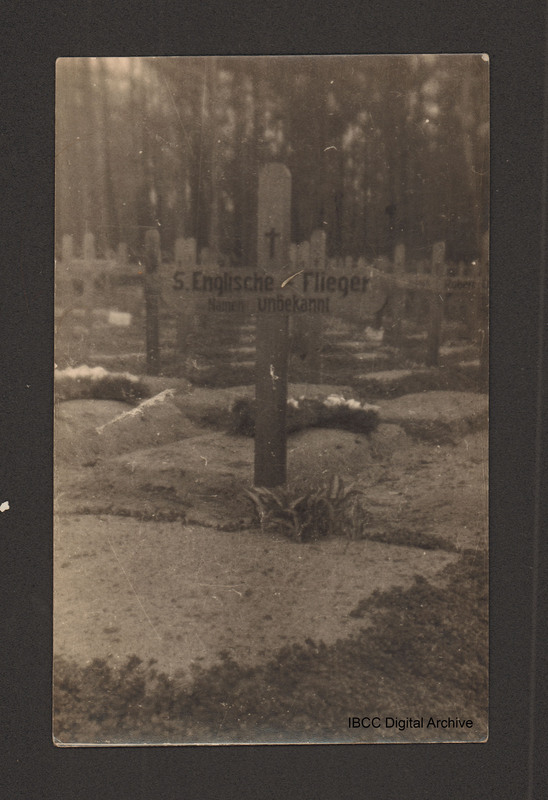 “English airman's grave,” IBCC Digital Archive, accessed April 24, 2019, https://ibccdigitalarchive.lincoln.ac.uk/omeka/collections/document/2226.